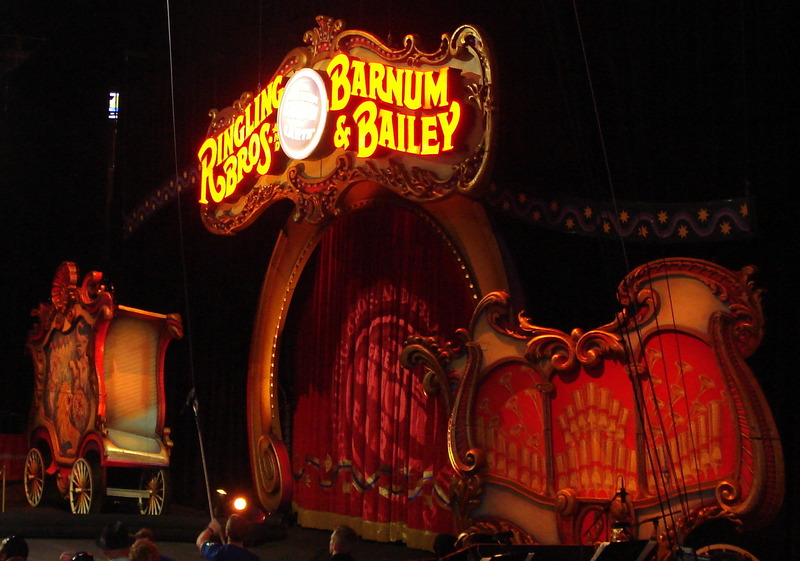 Ringling Bros & Barnum & Bailey Circus came to San Jose (Aug), so why not go? Elephant train, Cool Clowns, Trapeze acts, Noise, Lights, Cotton Candy. It might not be the "greatest show", but it's still pretty good. It's a little dated in the era of Cirque shows, but it's "Classic". We didn't know this was one of their last tours and would be shut down a few years later. I feel melancholy that kids today will never know the experiences we had. Elephant train, Cool Clowns, Trapeze acts, Noise, Lights, Cotton Candy. It might not be the "greatest show", but it's still pretty good. Too many motorcycles in a ball of doom, going every which way. It's a little dated in the era of Cirque shows, but it's "Classic". Lots of jumping on trampolines and trapeze. Creepy clowns don't bother me, and this one wasn't too creepy. He even posed for a pic with us. But all shows must come to an end. We went for the nostalgia from our youth. We didn't know this was one of their last tours and would be shut down a few years later. This page was last edited on 26 January 2019, at 21:34.